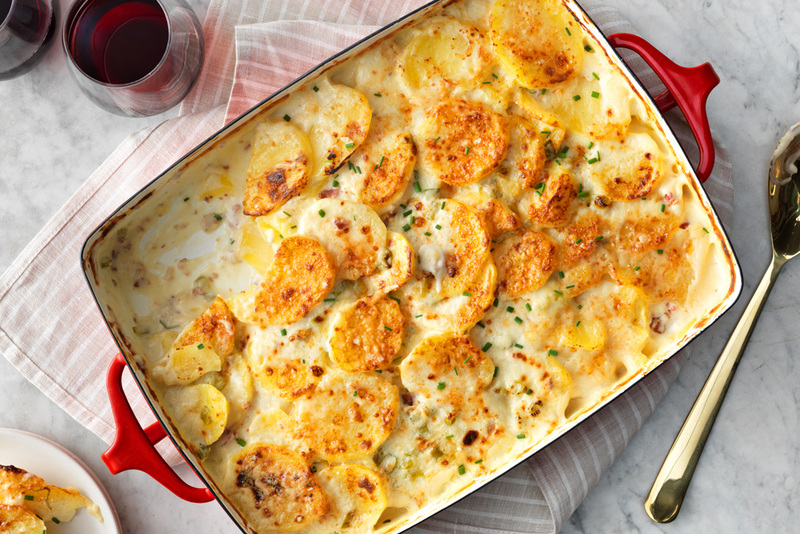 No matter what the occasion, whether it’s a holiday, or just a nice Sunday dinner with family, scalloped potatoes will fit any menu. You will love this bacony, cheesy twist on the classic recipe. Set the oven to broil. Broil for 10 minutes or until the potatoes are golden brown. Sprinkle with the chives. Use any sharp cheese for this delicious recipe  try old Cheddar or Gruyere for a twist. 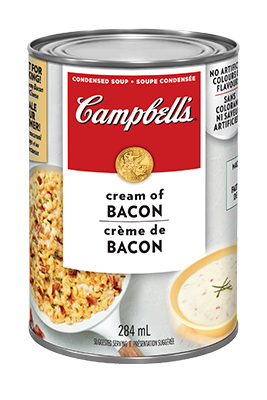 For a veggie option, swap in 2 cans Campbell's® Condensed Cream of Broccoli Soup. Let the potatoes stand for 10 to 15 minutes after baking to let the sauce thicken up a bit.